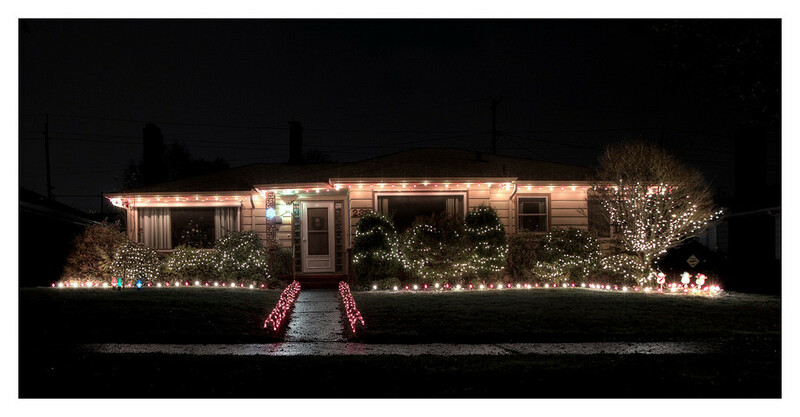 My buddy Stacey has already finished decorating his house for the holidays. In the style of Clark Griswold, you can see the house BEFORE you turn down his street. No one else has lights up yet and despite that (or perhaps because of it) Stacey has decided that he has to upstage everyone else. I have to admit, it felt a lot like Christmas this evening, especially because we got SNOW!